Many people want to downgrade Windows 8 to Windows 7 because of application problem, compatibility issue or just don't like Windows 8. Follow the steps below and you can downgrade Windows 8. First, making sure your computer hardware have Windows 7 drivers before proceed. You may notice when you insert your Windows 7 installation disc and reboot your computer, it automatically boot back to Windows 8. If you purchased your computer that had windows 8 pre-installed already, then you need to go to Settings > Change PC Settings > General > Advanced Start Up. On the next screen select Troubleshoot > Advanced Options > UEFI Firmware Settings. Disable the secure boot. Restart and boot off dvd. So you booted via the Windows 7 disc and during the loading files, it restarted or failed. This is caused by the UEFI boot problem. 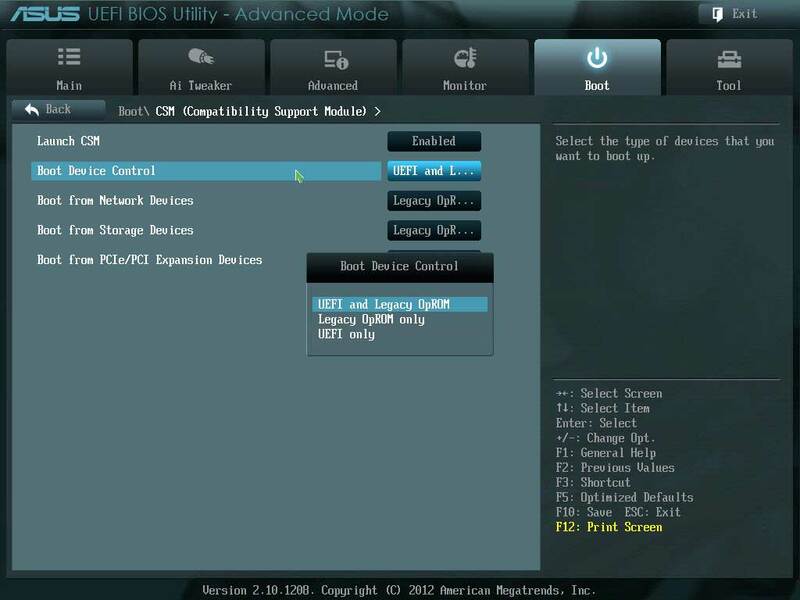 Restart your computer and press F2 or Del to go into the BIOS setup screen. Save and Exit the BIOS. Windows 7 installation should be working normally.